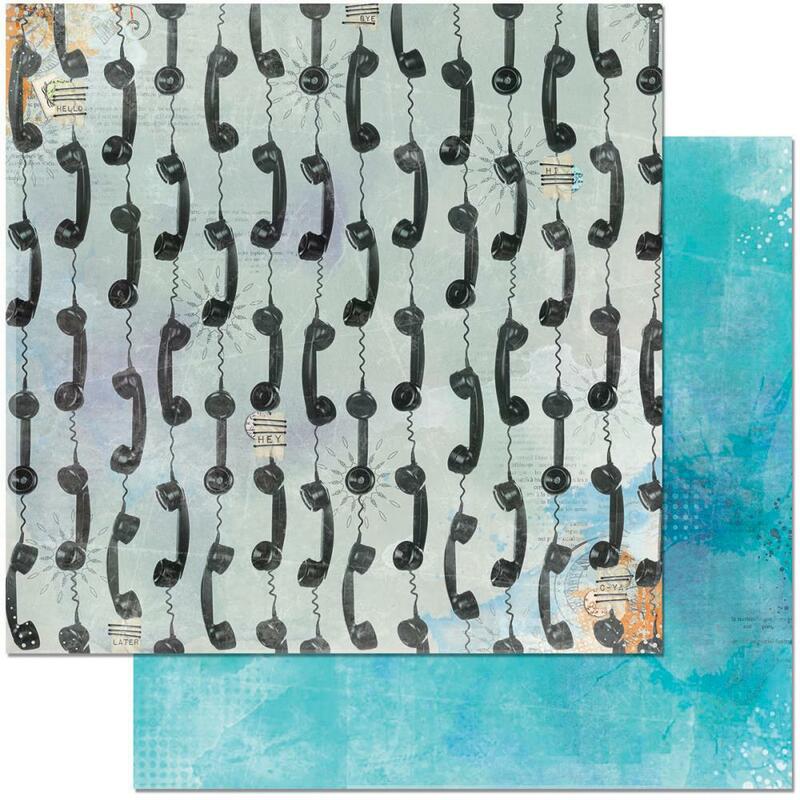 This 12x12 double sided paper has Vintage/Retro Telephones on the frontside while the reverse side has a sold Aqua print. This is part of the Life in Color Collection by BoBunny Press. Look for coordinating Designer Papers, Noteworthy Die Cuts, 3D Layered Stickers, Journaling Cards and Stickers.